Papercrafts by Patti: I'm Late, I'm Late!! Aw, darn! 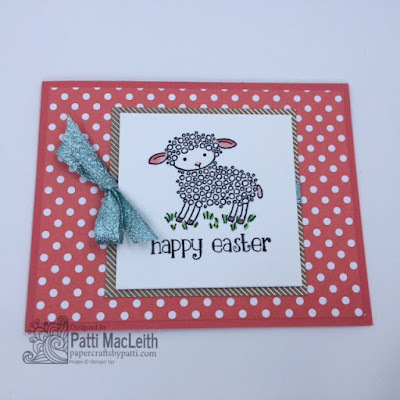 I missed Mary Fish's week as guest designer on the Pals Paper Arts Challenge! 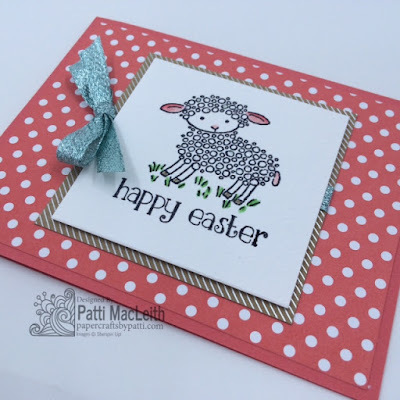 I made my card in plenty of time, but then had no time for blogging. I don't think you can see the Dazzling Details on my little lamb, but perhaps if you click on the photo to enlarge it, you will see a little sparkle on some of the "curls." Thanks for looking today! I hope you are inspired in some way. Please leave me a comment--I love to read them all! Please use my Online Store to order your Stampin' Up! supplies. I appreciate your business!